improve your odds. Let’s take a look below. idden or otherwise difficult to navigate to from your main website, chances are you’re losing valuable visitors as a result. If you want people to click on and visit your programs pages – which you do – then you have to make it easy for them. Optimize each program page for search engines. 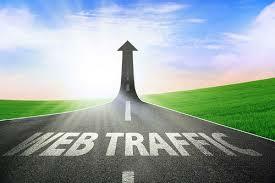 Don’t assume all traffic will come from your home page. Optimize each of your higher ed landing pages using the appropriate keywords and search terms so that they’ll be more likely to be found in web searches. Communicate clearly. There are many different terms that can be used to describe the various offerings a college or university has, from majors and minors to degrees and certificates. Whichever vocabulary you choose, be sure to use it consistently throughout your entire website. Otherwise, your visitors could get confused and not navigate to the right page. Provide links for other related degrees on main degree pages. Let’s say your higher ed institution offers a major degree in Finance, but several minors or related majors in other similar fields. A person visiting the Finance Program landing page may benefit from links to other degrees he or she may be interested in, which can result in increased traffic and exposure for your various programs. Maintain brand consistency. A major hurdle many higher ed providers must tackle – particularly larger institutions – is that of maintaining consistent branding across all aspects of their web presence. In other words, every page should be branded the same, or at least within the guidelines set forth by the content management team. This establishes trust which can keep visitors engaged and increase click-throughs. If you need assistance getting your higher ed content in order, organized and optimized for the best possible web performance, the right CMS can provide the ideal solution. Request a free product demo today to learn more.